P4C (Philosophy for Children) is an approach to learning and learning that was founded by Professor Matthew Lipman. P4C has developed over 35 years, and is practised in approximately 60 countries. In December 2015, St Matthew's gained the SAPERE Bronze award for Philosophy. We are very proud of our success and we are working towards the Silver award this year! There will be a philisophical question every week newsletter for children to discuss with their parents at home. Please have a chat about it and let Mr Edwards know your thoughts. Watching this film gave Year 6 a number of issues to discuss. Some of the themes were, loneliness, solitude and isolation. As well as companionship, togetherness and solidarity. Some of our final thoughts included. "You might be scared to play with someone because of what others might say but deep down we are all the same on the inside." "Excluding people can be just as harmful as calling them names so we need to make sure they are included"
"Just because you might have a disability in one way does not mean you don't make up for it in other ways." We have been studying Macbeth and discussing some of the issues that arrise in the play. The main ones that we identified were motivation, ambition and greed. The diologue we decided on was, "Can you have too much ambition?" Some of our final thoughts were. "There is nothing wrong with ambition, as long as you focus on doing the right thing." "Ultimately people are greedy and they will always want more that they have. So ambition can be a bad thing." "We all need to be ambitious or as a human race we will not be able to progress." Here are some of the things that the children in St. Matthew's have thought about philosophy this term. "Philosophy can help you to be a caring thinker by listening to other peoples opinions even if they are different from out own." "We have to work collaboratively to come up with questions to talk about. Sometimes we combine our questions to make a better one." "I like that I can be creative in philosophy because listening to other people might change my opinion on what I thought and I get to come up with some new ideas." "Philosophy has taught me that if I don't think the same as someone else I can still be their friend. "Sometimes you have to be critical of other people because you don't agree with what they are saying. But that's alright as long as you do it in a caring way." "P4C helped me think about my feeling for art when we studied Frida Khalo the Mexican artist." "I like thinking about how the world might change in the future when we used P4C in science." "We looked at family life in RE and P4C helped us to think about how and why family life isn't always perfect." 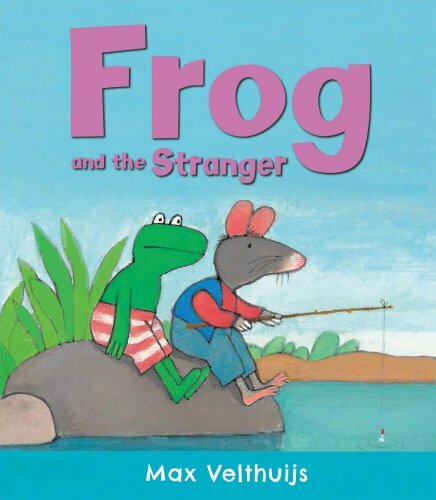 We looked at the story 'The Frog and the Stranger' as part of Anti Bullying week. Some of the issues that arose from the story were, isolation, judging others and being mean to others. Ruby thought that some people try to get others to bully because they feel better when they are part of a gang. But we should be more like the frog and stand up for the things we believe in and make sure that everyone is treated in the same way. We looked at Neville Chamberlin's speech declaring war on Germany at the start of World War II. Jak said that using technology is unavoidable in life today but sometimes people need to leave it alone for a while and enjoy other things such as nature. Chloe thought that if we took all technology away then we wouldn't be happy because we wouldn't be able to contact each other as easily. Lexi disagreed and said that if we didn't have technology we would just have to find other ways to communicate like people did in the past. We watched the this video as a stimulus for our P4C lesson. We thought about how the planet is changing over time and how it might change in the future. Here are some of our thoughts. 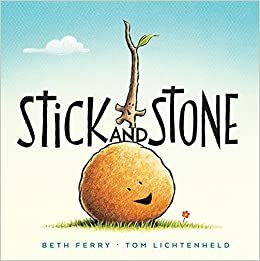 The children in Year 2 enjoyed their 'hands of friendship' themed philosophy lesson, using the book 'Stick and Stone' as a stimulus. Year 4 watched ‘The Present’ by Jacob Frey as a stimulus. Then we discussed some issues that had arisen from the video. In groups, we generated some questions for our discussion. The overall question we discussed was, “Can anyone or anything be a friend?” We wrote down our first and last thoughts. We agreed that pets can sometimes be our best friends too! Year 5 looked at some different concept collision activities deciding what the most important qualities of a friend are. We decided that the most important qualities were being kind and being trustworthy. After watching a film about a girl who struggles to keep friends as a stimulus (http://www.bbc.co.uk/education/clips/zvxqxnb), we decided to ask the question, "If you let your friend win all the time how would this affect them in later life?" At first we thought there wouldn't be much change for us, then we realised that lots of areas of life would be effected such as where we go on holiday, the food we eat and how healthy we are. Harry thinks that we express our feelings when we are feeling happy so why can't we express them when we are feeling sad as well. Year 5 agreed that the things we need to be happy could not be bought, such as love, family and friends. They decided that things like cars, computers and television were nice but we could still be happy without them.